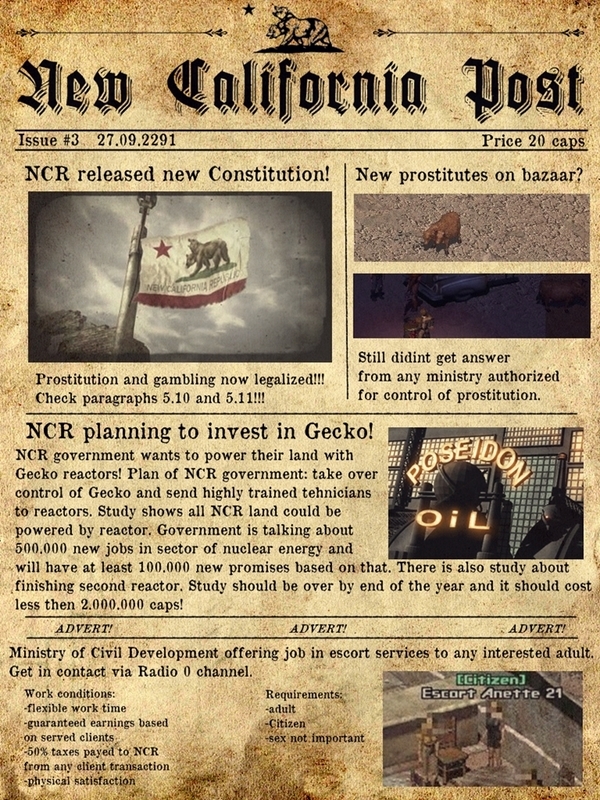 New California Republic government decided to bring NCR news to every part of land known as California. 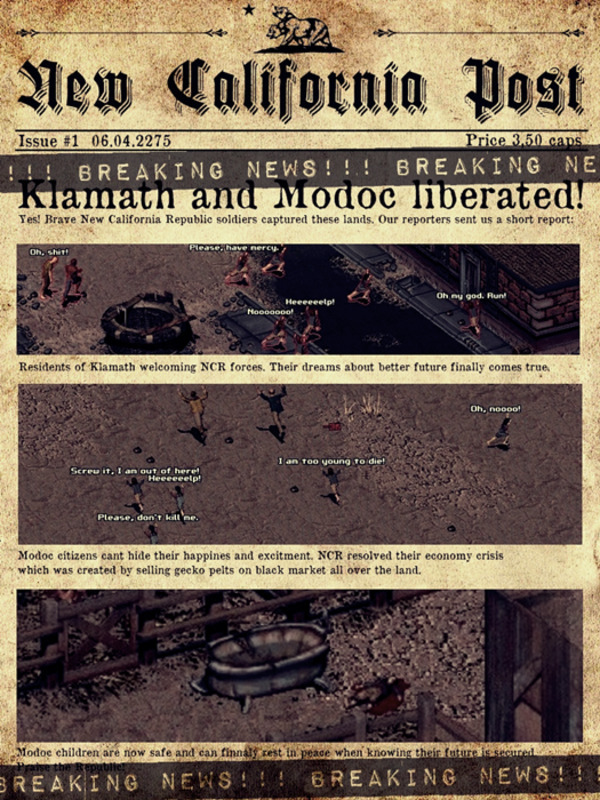 Expect updates on most interesting stories from Klamath to LA Boneyard, from San Francisco to Shady Sands, from your grandmas secret recipes of cookies to reports on first line NCR soldiers eating it!!! 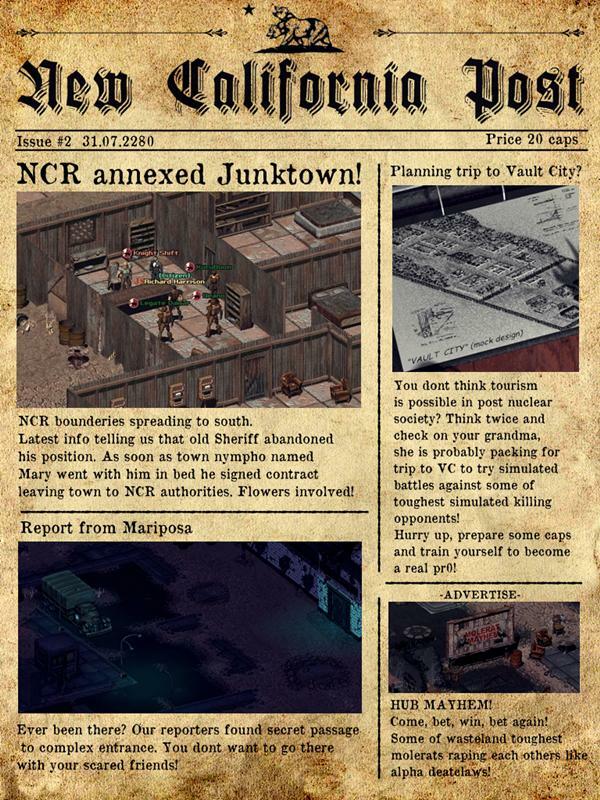 Have confidence in finest and bravest journalists across the NCR! 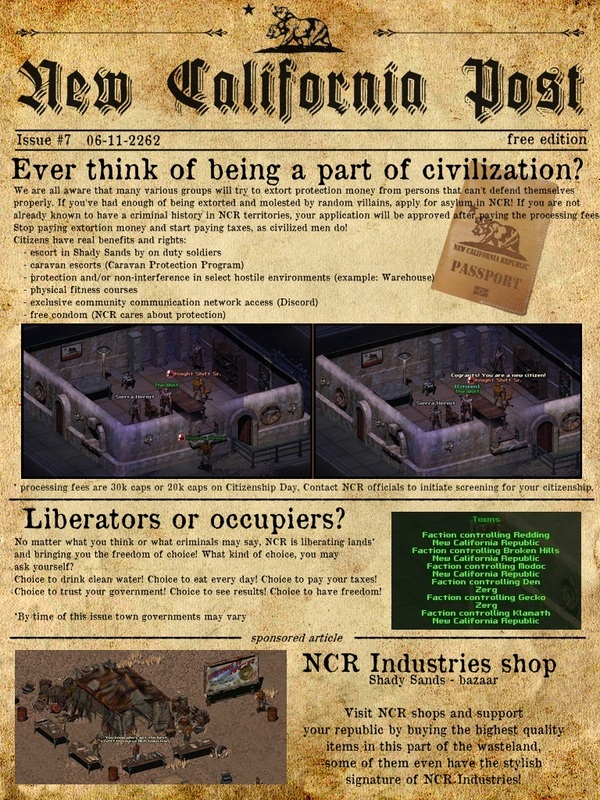 NEW CALIFORNIA POST NOW AVAILABLE IN SHADY SHOPS! 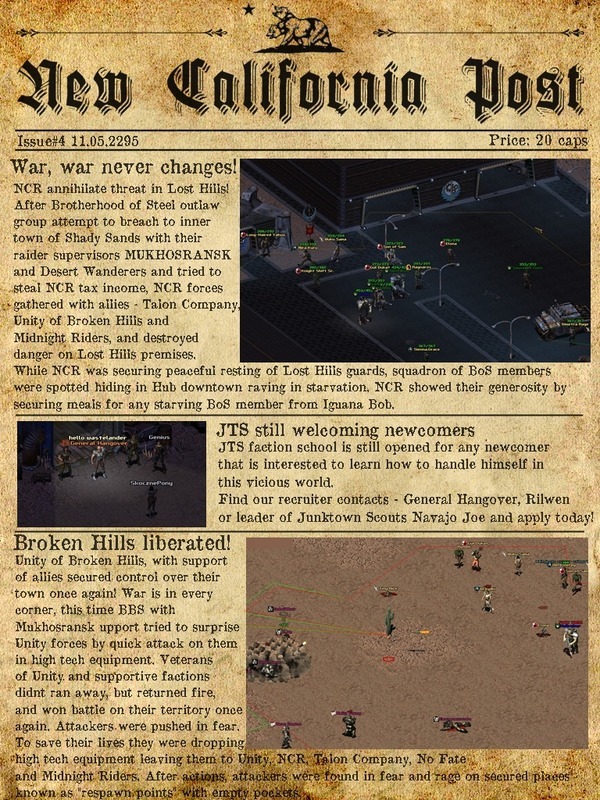 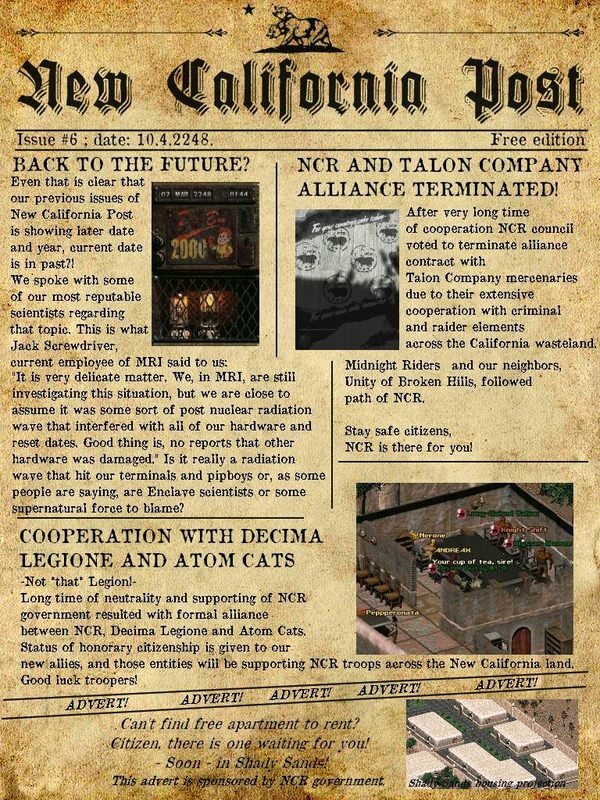 Grab your 1st edition of NCR fresh news on holodisk in Knight Shift -presidential- shop. 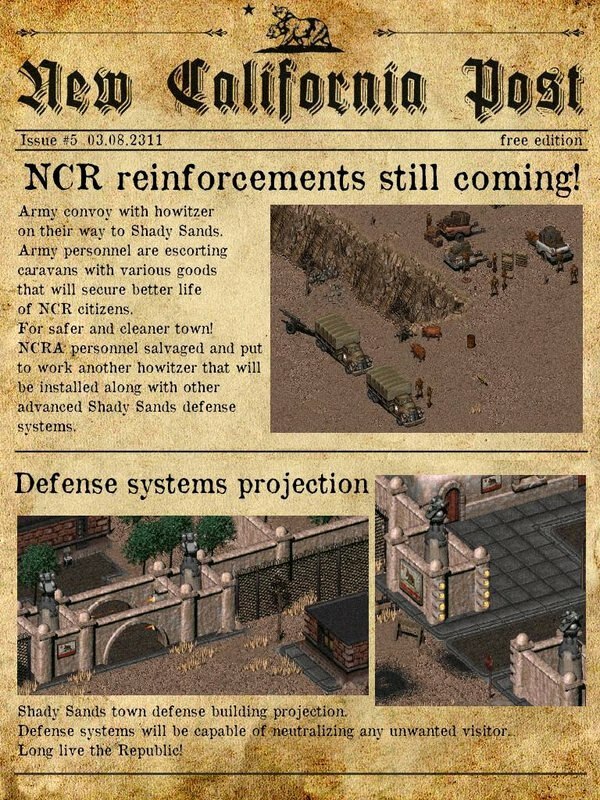 Keep track of NCR progress and - FOR ONLY 3* CAPS! 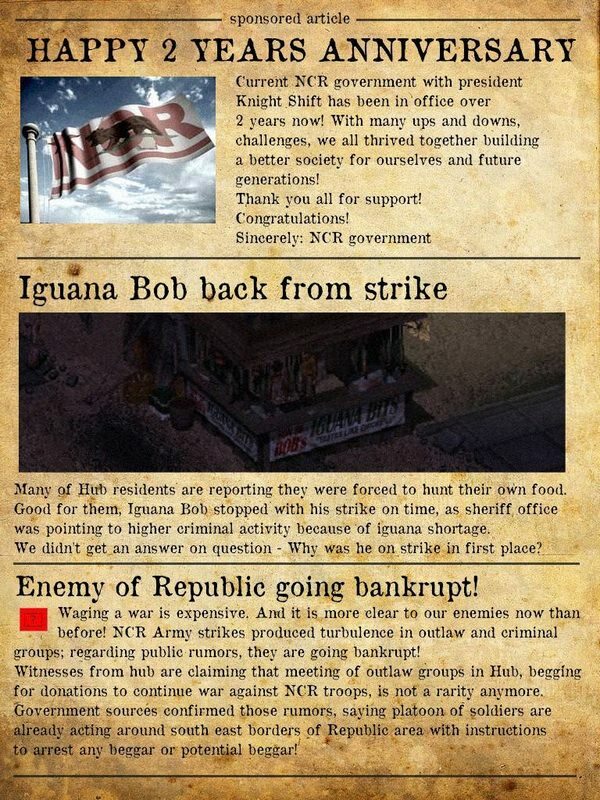 - support Your Republic!